SR 56 to Rising Sun. Right on Ridge to left on Wilson. 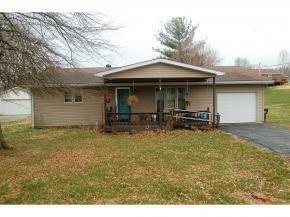 Nicely updated ranch with new bath with walk-in shower, newer flooring, updated kitchen. Nice level back yard with covered and screened deck. Perfect for first time buyers or those wanting to scale down!